As of today, we’ve got four weeks until the due date. The countdown numbers are in the 20’s. This is when it starts to get real. Baby things are starting to appear! I’m unpacking the tiny clothes and stocking up when I see diaper sales. 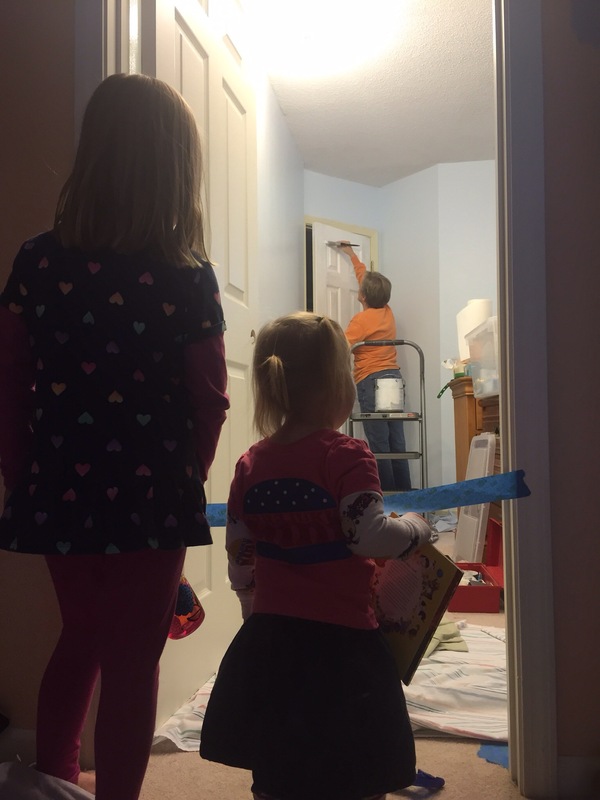 My parents graciously offered to paint the baby’s room which was previously a yucky yellow – not just the walls, the guy also painted the trim and doors. We picked a very light blue, and I think it turned out really well! I’m not one to get too theme-y, but when the room is done you’ll see various things with animals to go along with a Noah’s ark quilt that was cross-stitched by my mother-in-law. Should be cute! 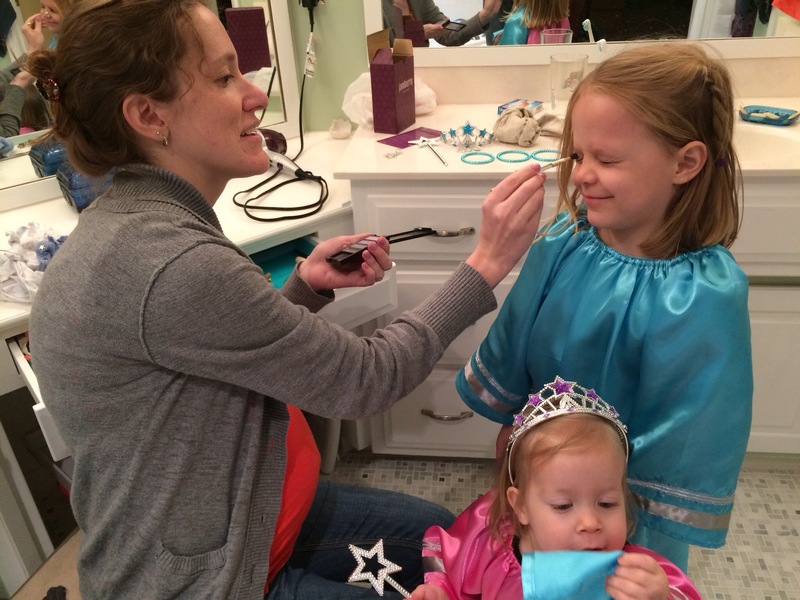 Here’s some girl fun – doing “princess make-up” on Halloween. 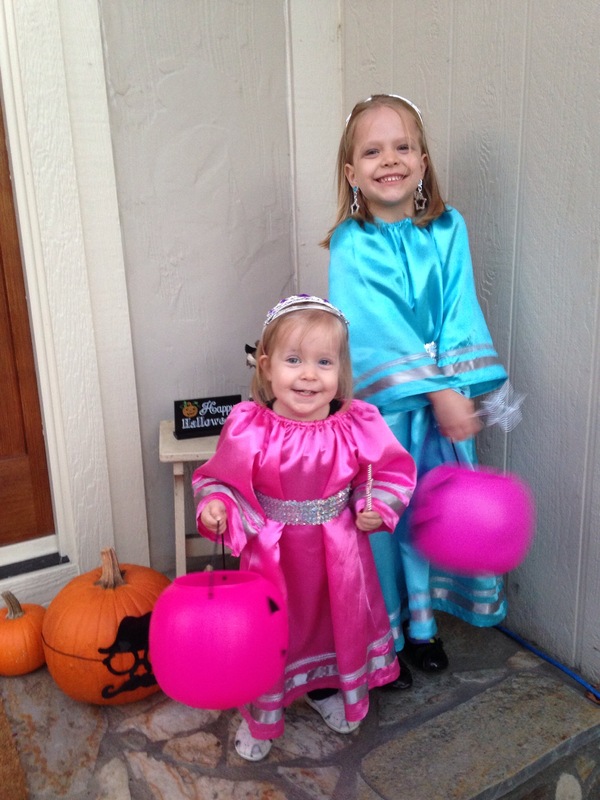 :) Violet got some, too. Lots of anticipation in the next few weeks! There are some good guesses over on The Name Game post. We’ve promised the girls that they will be the first to know the name after the baby is born, and we’ll happily fill in everyone else soon after. Soon soon soon!